Haven't posted in the league in a while. Once Brian put up this week's assignment, I knew I would be posting this time around. The assignment was simple: Write about comic books. 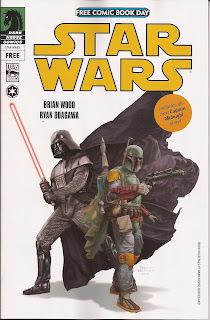 Now, I could have blogged about my favorite issues or my favorite characters. 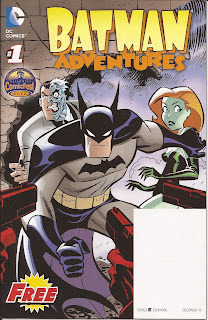 I could have written about comics I would love to own or the best stories I have read, But, I decided to keep it simple. I knew I was going to go and scarf up some free swag on Free Comic Book Day, so here is how my day went. 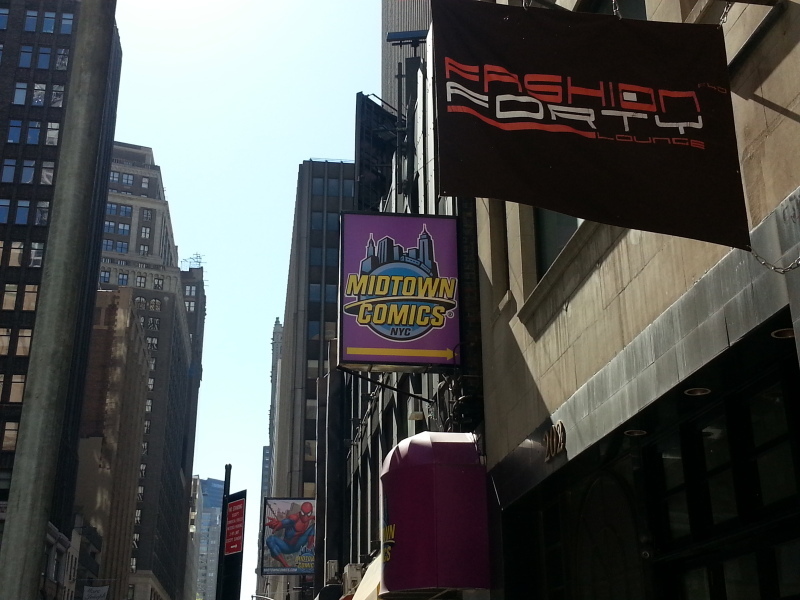 My first stop was Midtown Comics-Times Square. I woke up pretty early on Saturday and was at the store by 9:30 AM. Wasn't early enough, it seems. This was the line in front of the store when I got there. I was told by one of the workers who I am pretty friendly with that there was a line at 6:30 in the morning. By the time I got inside, pickings was slim. Actually, I was just given a bag with 3 comics inside. 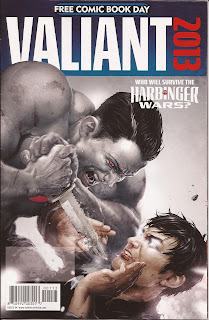 Got this sampler from Valiant Comics. Not too familiar with Valiant comics, but I did get to read it later in the day and liked 2 of the stories inside. 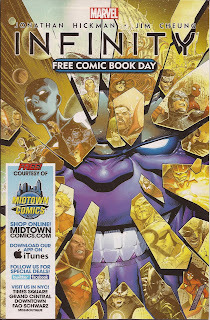 Got a preview of Marvel's big event this summer, Infinity. From what I read, it looks a it will be a good read. It also had an old Thanos story from the 70's. 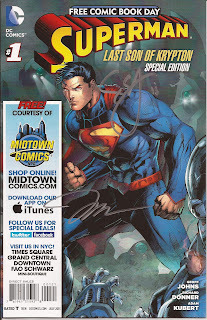 The third book was Superman: Last Son Of Krypton. I will show that later in the blog. After getting my bag, I decided to take a stroll around the store and take a look at what they were offering. 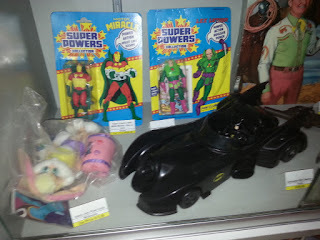 I came across a case with some vintage goodies. 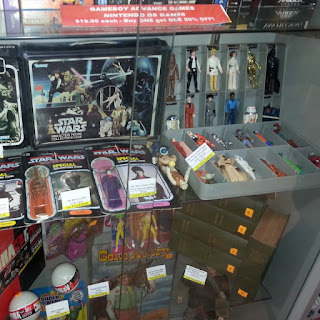 Vintage Star Wars figures and carrying case. 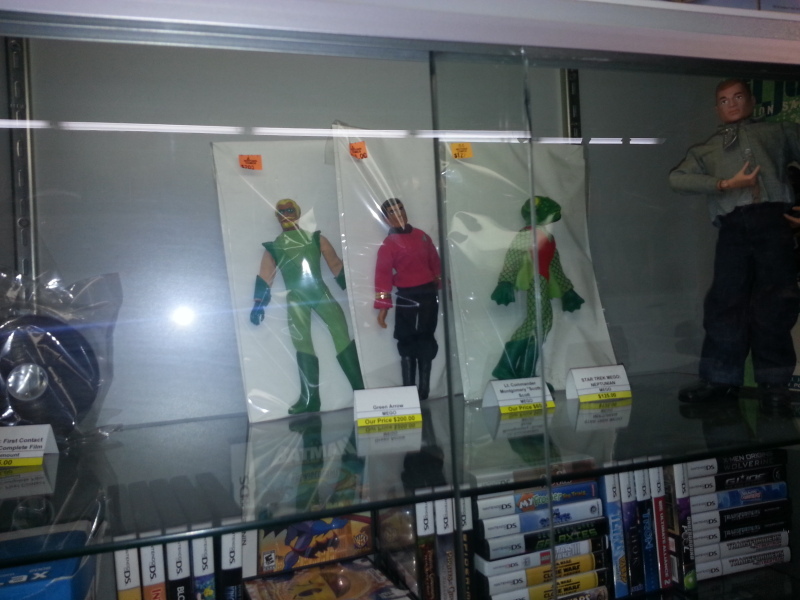 I believe the asking price was $500.00 for the lot. 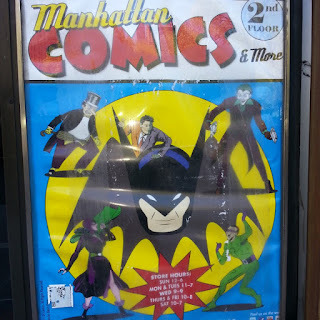 Afterward, I decided to walk over to the east side of Manhattan and visit Jim Haley's Universe and check out the new location. 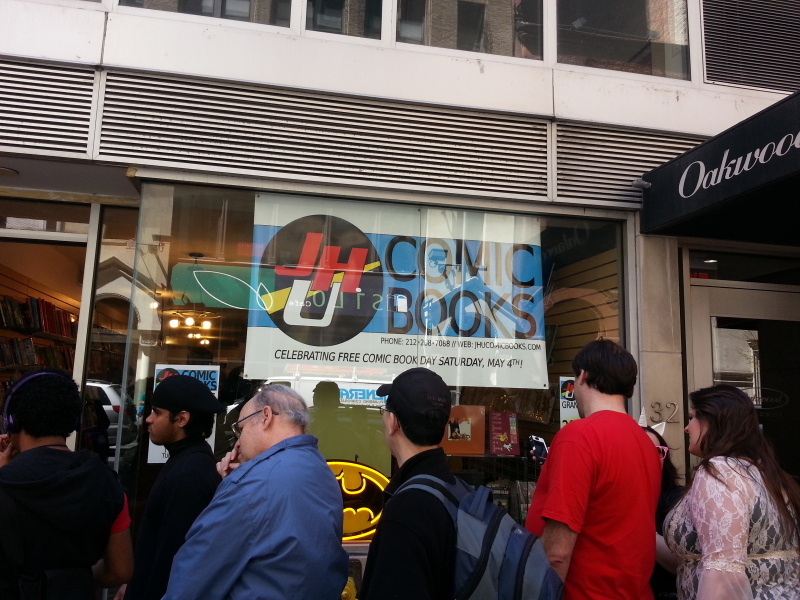 They recently moved from W 33rd St to E 32nd St and this was their Grand Opening week. As you can see, there was a line waiting for me, but that was to be expected. 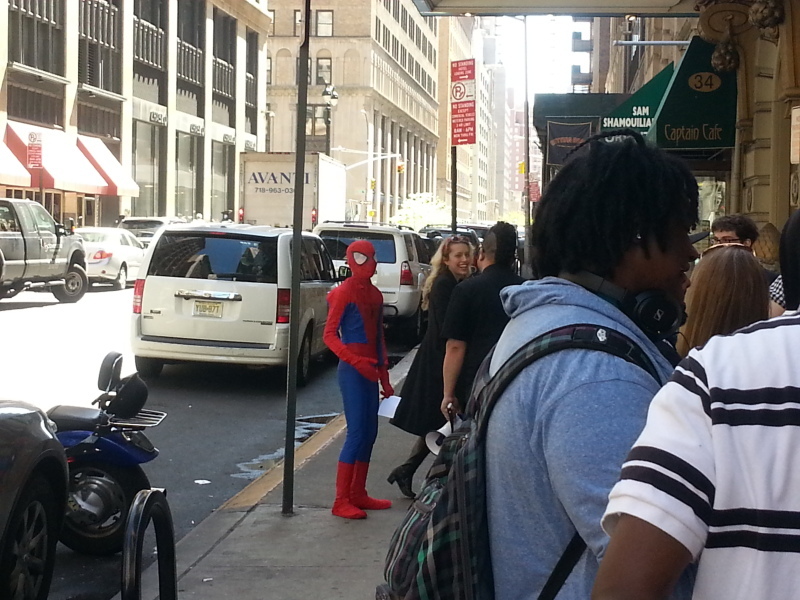 Even Spidey wants free comic books. This location is smaller than the old one, but pretty well laid out. I stood outside for about 15-20 minutes, but once I got inside, the line moved pretty quickly. I amused myself by taking pictures of the statues that was on sale. 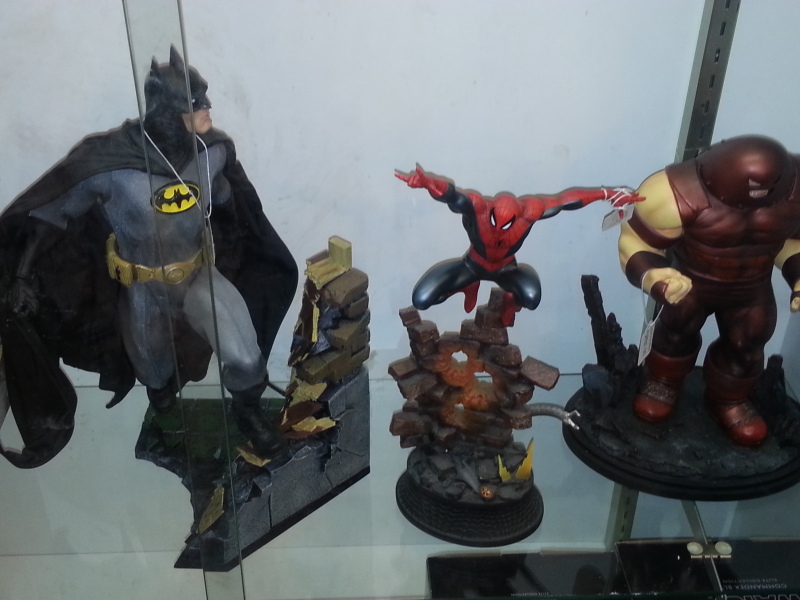 I really love those Spider-Man and Batman statues. 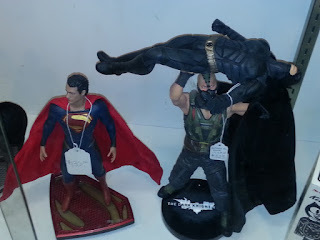 New Superman statue and Bane threatening to break Batman's back if he doesn't get some books. 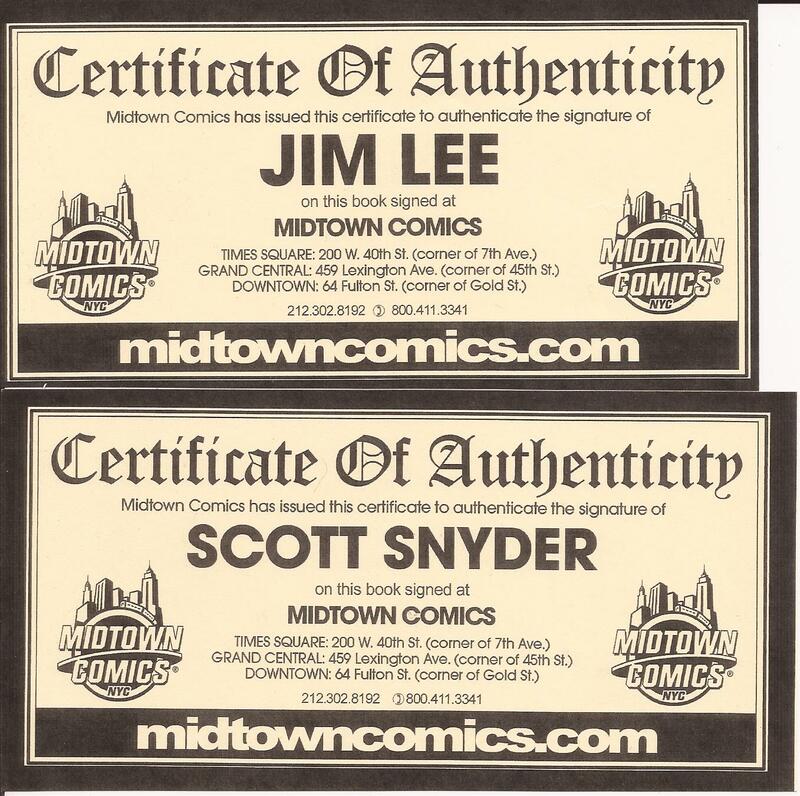 Jim Haley's was offering 5 comics as opposed to the 3 I got at Midtown. And I got to pick out what I wanted. Here is what I went home with. 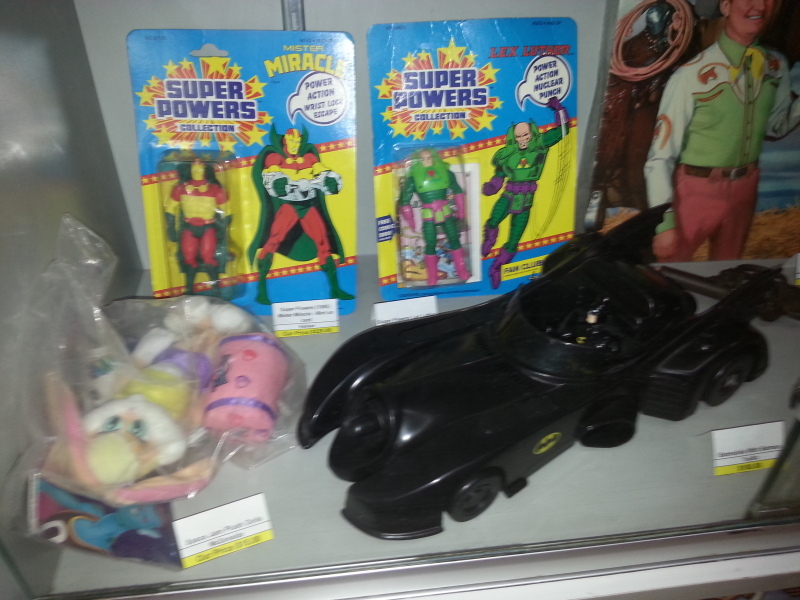 DC Nation Super Sampler. 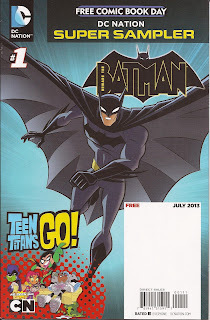 I want to check out that new Batman show that Cartoon Network will be showing later in the year. 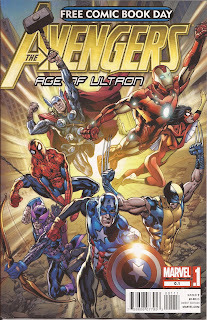 I haven't been reading any of the Age Of Ultron series, so I decided to get this Avengers preview of the event. 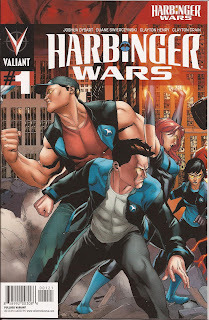 If it's any good, I might wait for the graphic novel or pick up the issues in digital form. I have never seen the show or read the books. 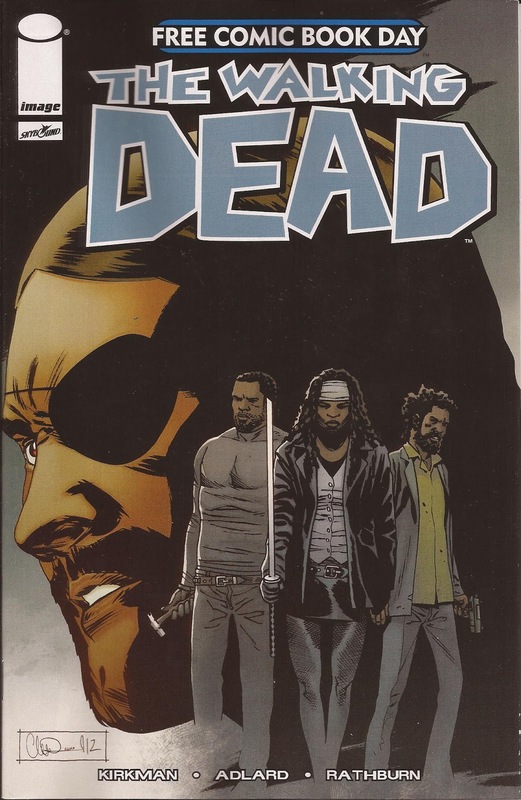 This is my first exposure to The Walking Dead and I am looking forward to reading it. 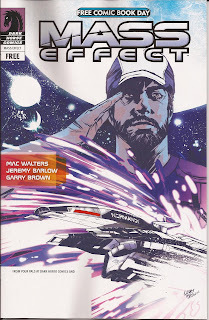 I picked this issue of Mass Effect up because I do like Dark Horse stuff. It was either that or Boingo. 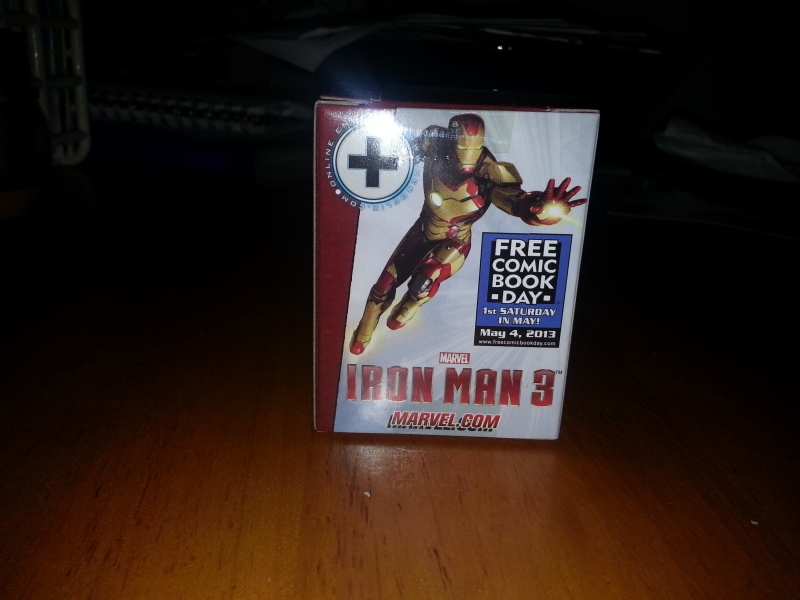 Since there was nothing else I really wanted, Jim Haley's was offering a free Iron Man 3 Heroclix, which would count as 1 book. Since I am always looking to add to my small Iron Man collection, I happily grabbed it. 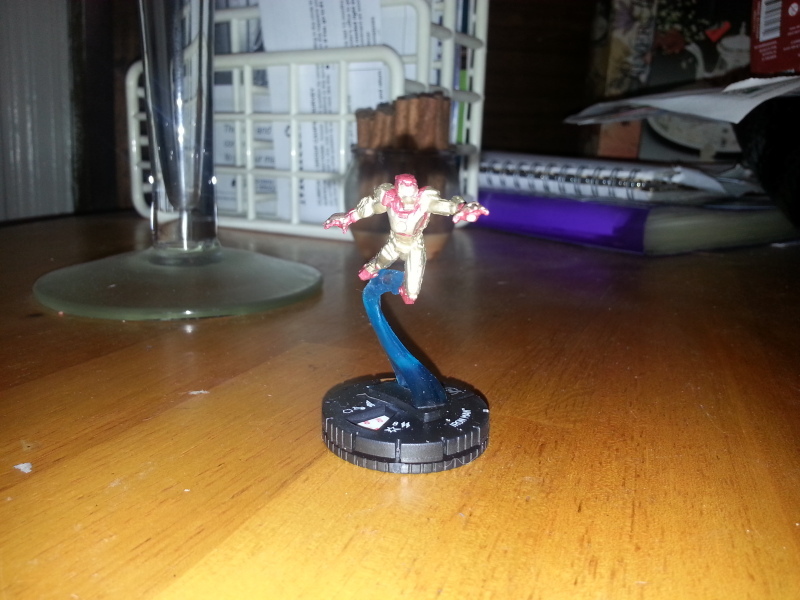 I have never owned a Heroclix before. it's really small and I had a hard time getting a good shot of it with my camera on my Note 2. Trust me, it looks pretty cool in person. Before leaving, I did manage to sign up for their free membership club. It offers discounts on comics, toys and 40 % off certain graphic novels. I will be back later in the week to grab a graphic novel to read on my plane ride to Los Angeles on Thursday. 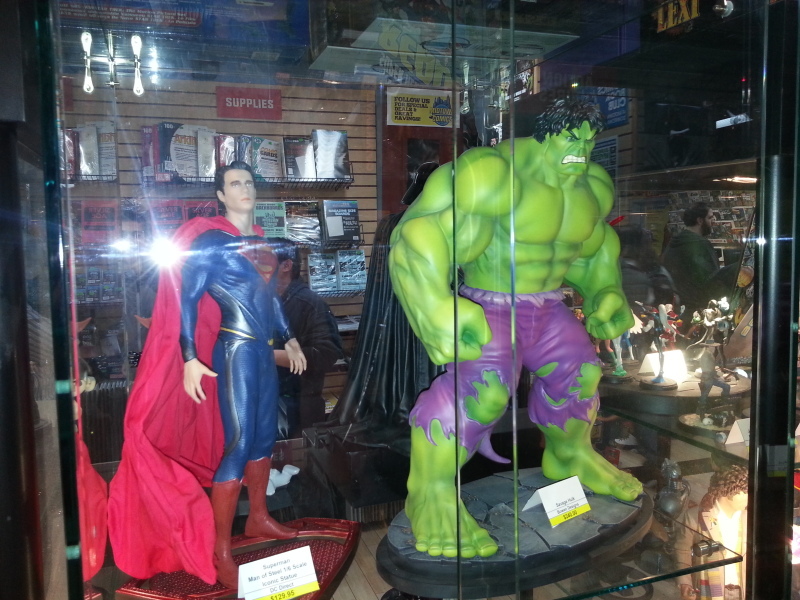 After, I decided to hit Manhattan Comics to see what they had to offer. 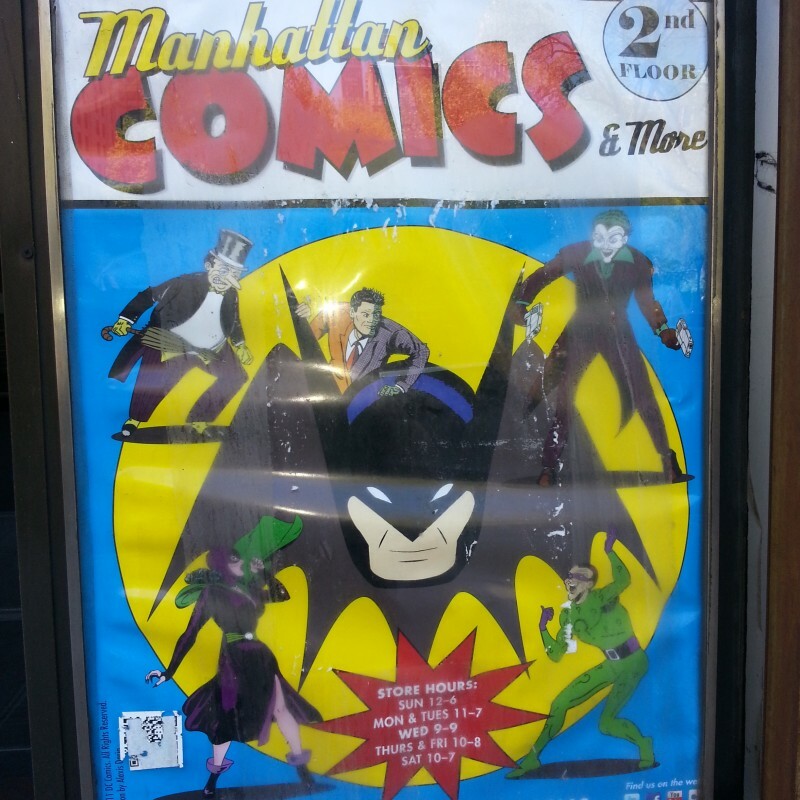 God, I love that poster, I should see if they offer one for sale next time I go inside. 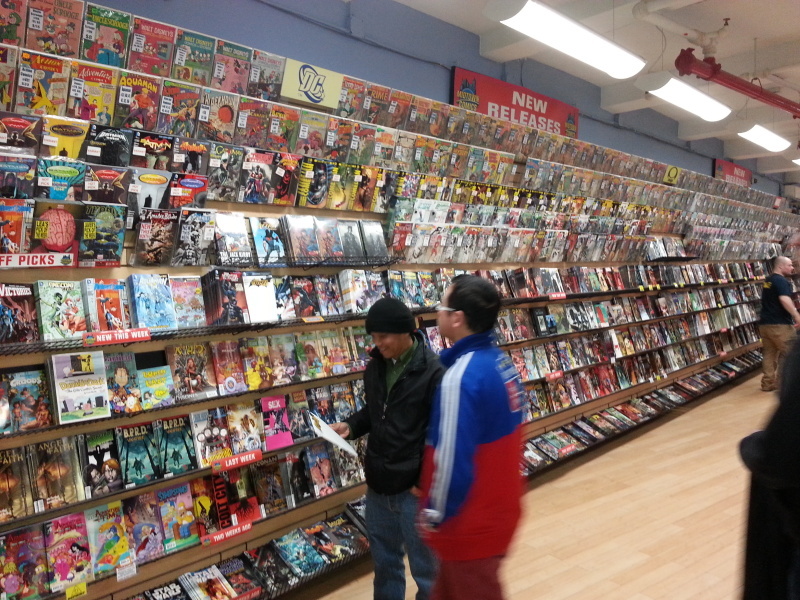 The store was offering up 3 free comics. It was pretty packed at the Free Comic rack, so I kind of had to slither in between people to grab the issues I wanted. Here's what I walked away with. 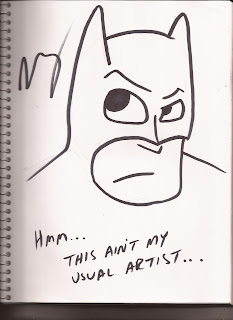 It's from a Halloween give away, but it's Batman so I don't care. Plus, it features a couple stories written by Spider-Man writer Dan Slott. I'm sold. I was looking for this book at the previous two locations and struck out at both. This was the last copy on the shelf, so I was so glad I was able to grab it. Grabbed this Teenage Ninja Turtles book to finish out my Free Comics spree. 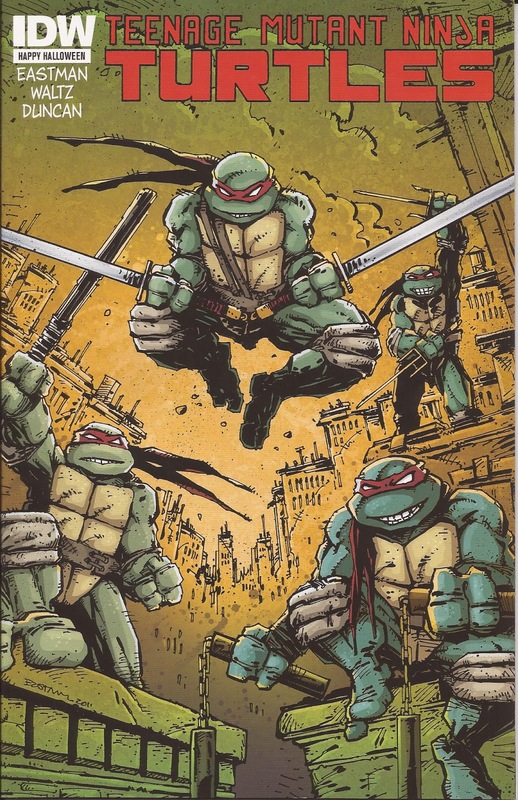 I did have a Buck Rodgers comic in my hand, but I put it down in favor of TMNT. 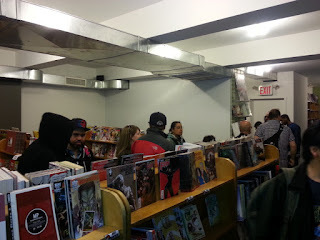 Manhattan Comics also had Nathaniel Burney, cartoonist of the non fiction webcomic "Illustrated Guide To Criminal Law". He had his son with him, drawing along side his pop. I struck up a conversation with the two of them since the boy had on a Darth Vader t shirt. I found out that Nathaniel is a lawyer who works on his webcomic in his free time. It just got published into a book. If your interested in checking it out, head on over to lawcomic.net. I also found out his son's favorite Star Wars movie is Episode 1. Kids. 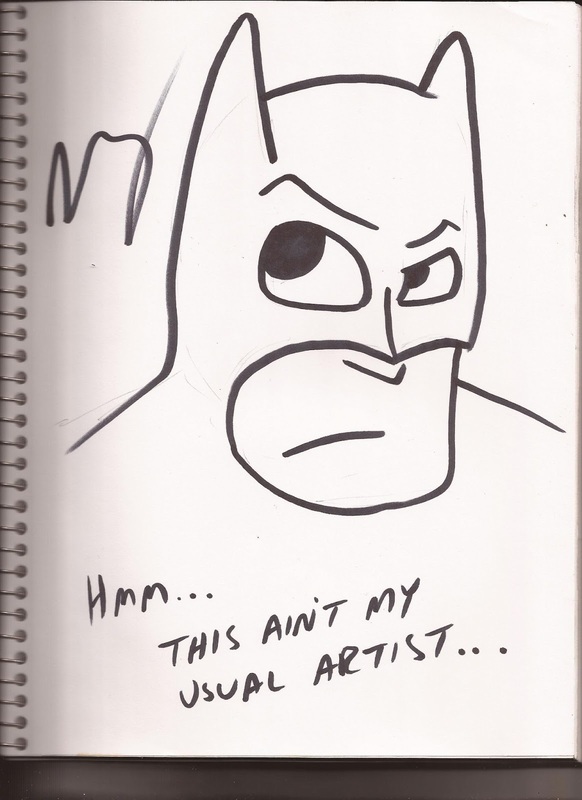 Nathaniel was kind enough to draw me this sketch of the Batman for my sketch art collection. Love it. Thanks so much Nathaniel. I know his son will realize that Empire is clearly the better movie in time. 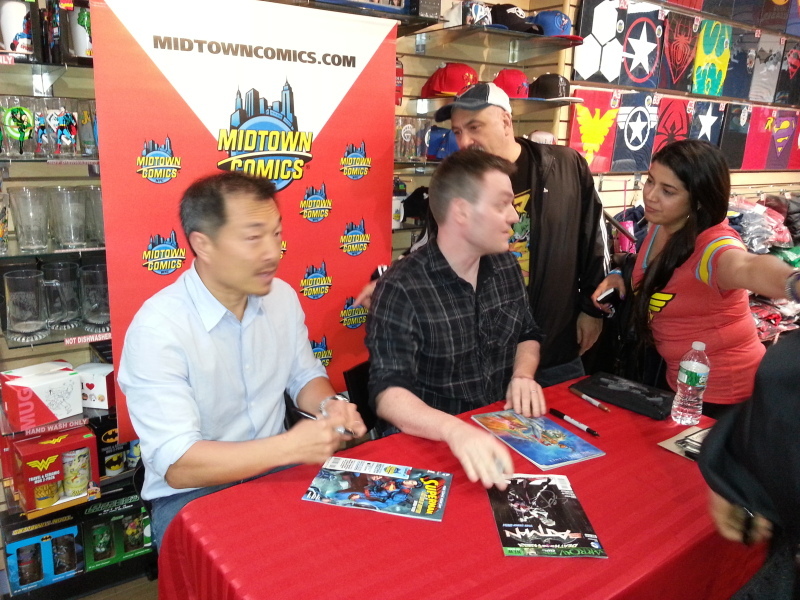 For my last, and longest stop of the day, I headed over to Midtown Comics-Downtown for an autograph signing with two of my favorites in the comic industry, Jim Lee and Scott Snyder, who would be signing copies of the Superman; Last Son Of Krypton book that was given out. If you haven't read Snyder's Iron Man Noir, I urge you to do so. 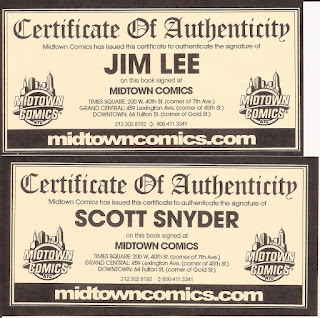 Jim Lee is the reason I got back into reading comics. I hadn't read one in a few years. The Batman Hush stories were the first books I read and I was hooked all over again. I had to meet them. They will be working on a new Superman story later in the year and I for one cannot wait to read it. 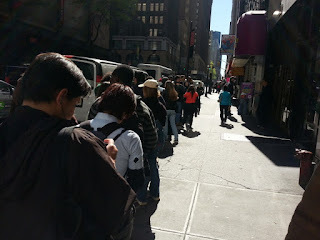 Now, I called Midtown before I went down and was told there was a line forming at 7 PM the night before. I decided to head over and see if I still had a shot. 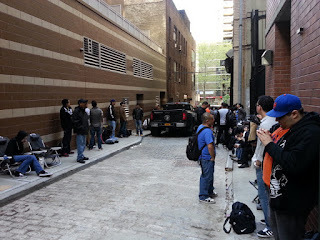 When I got there, the line went up this alley and wrapped around again. I decided I would stay and wait. It was 3 PM when I got on. The signing would be at 7 PM. Luckily, I had a snack and some of the comics with me, which I read as well as book called The Road by Cormac McCarthy. Yes, I had a non comic book . Worst thing was I was freezing. I was only wearing a t shirt (Star Wars representing on May The 4th Be With You, Yo!) and was not smart enough to bring a jacket. But, 4 hours later, the line started moving and by 8 o'clock I was meeting Jim Lee and Scott Snyder. In the picture, you can see DC Comics Senior Vice President Dan DiDio talking to Scott Snyder. Talked to him for a while too. I barely got to tell him I loved Iron Man Noir. Lee was genuinely touched when I told him how Hush was the reason I started reading comics again. After the brief meeting and getting my books signed, I took a stroll around as it was my first time there. 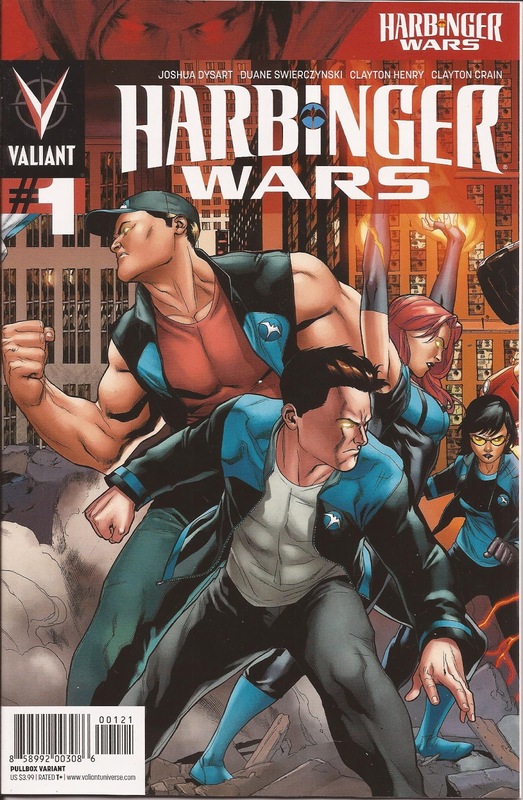 While on that long line, I read that Valiant book and really liked the Harbinger Wars preview, so I bought it. 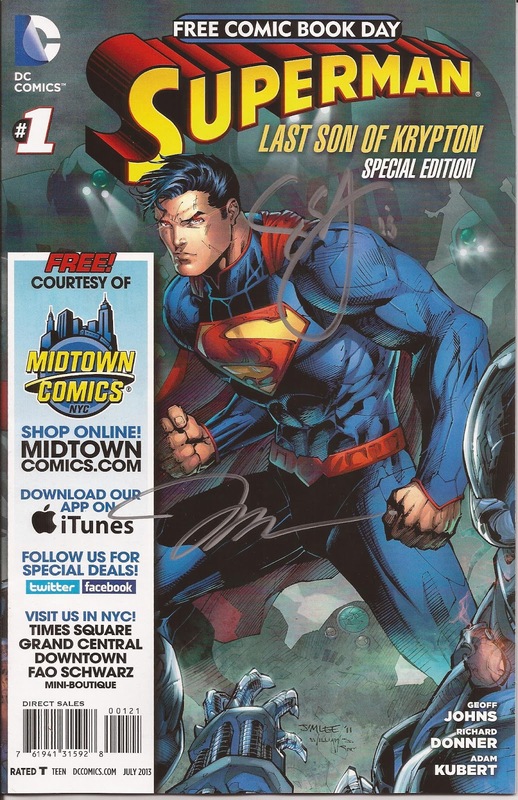 The cool thing is I was able to get a second book Superman: Last Son Of Krypton signed, which I would be willing to trade for something pretty cool. So, that is my long, long day. But it was a productive day. I got 11 free comics, bought 1, started reading a book my friend lent me earlier in the year that I finally got around to reading and I met 2 superstars in the comic book world. 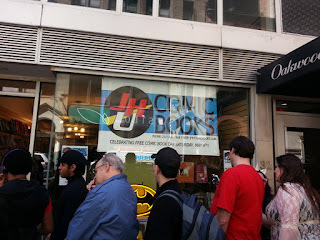 Yes, Free Comic Book Day made me feel every bit of my 42 years, but it was a fun day. Needless to say, I am looking forward to next year's Free Comic Book Day and will willingly do this all over again. 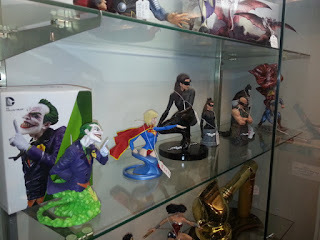 What about Forbidden Planet? 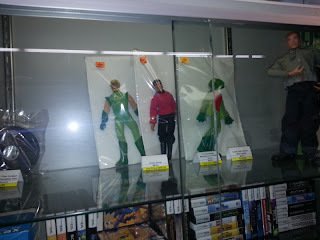 or Village Comics? AHHHHHH I miss living in New York! Wow... your comic book shops blow away any of the comic book shops in my area. They look like museums. Excellent post Mike. Looks like you received the same comics I did. You need to watch The Walking Dead when you have a chance. Besides my toys, it's my other addiction. 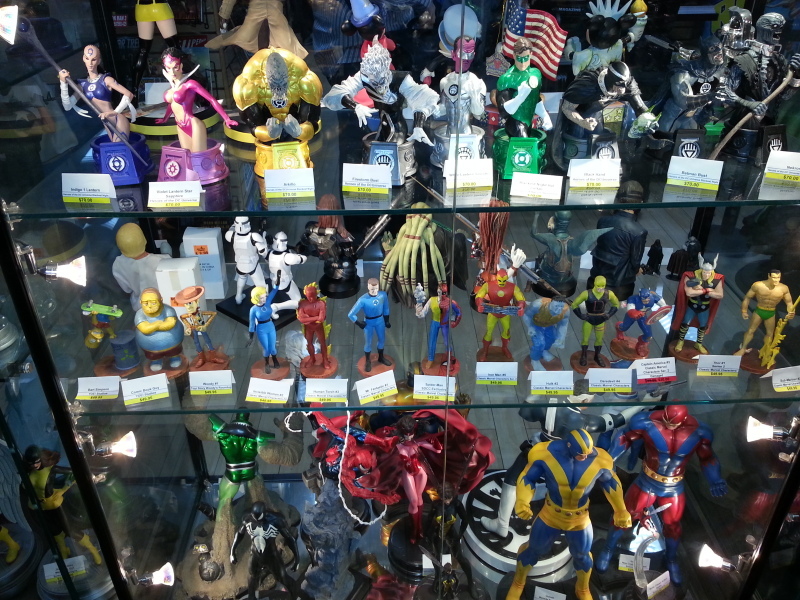 Also, those vintage toys are looking sweet. Looks like there are a few items there I could use for my collection. 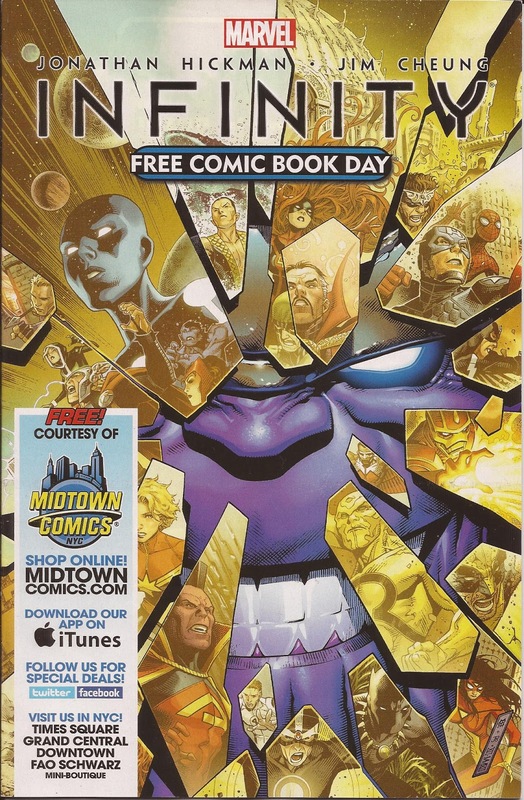 Very interesting FCBD. 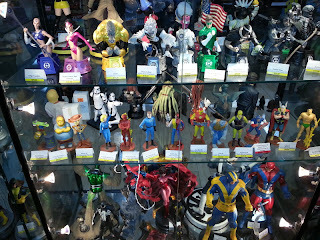 If you read my blog, you'll notice a difference in a store in a sleepy beach town. I was able to get pretty much any FCB I wanted. But I did not get a Hero Clix Iron Man.